Tempe, AZ – The Evangelical Christian Publishers Association (ECPA) is proud to announce the annual gala for the CHRISTY AWARD™, taking place on November 8 at Lipscomb University in Nashville, TN. As a day to celebrate the best in the art of Christian Fiction and honor the power of story, event organizers have also launched THE ART OF WRITING CONFERENCE to coincide with the Awards. Registration and information for both events can be found here. The conference and awards program will attract aspiring and published writers, creatives and storytellers, along with publishing professionals. Writers will find encouragement, information and inspiration while Christian fiction fans and publishers will celebrate the best faith-affirming stories of the year and find new ways to elevate the genre. The Art of Writing Conference, held on November 8 from 1-5 pm, will be a half-day event dedicated to writers, storytellers and publishing curators. Designed to bring together creators and curators, the conference will feature intensive seminars that celebrate the creative life, and provide practical tips for the challenges in this rapidly changing industry. Speakers and Panelists excel in a variety of roles and will be discussing issues including diversity in storytelling, handling discouragement, and various perspectives on living a creative life. Speakers include Andrew Peterson (musician, author and founder of The Rabbit Room), Theon Hill Ph.D.(Wheaton College), Carrie Schmidt (blogger), Cynthia Ruchti (author and agent), Beth Adams (Howard Books), Karen Watson (Tyndale House), Dan Balow (Gilead Publishing), Amy Green (Bethany House) and Chris Fabry (author and radio personality). The Christy Award™ Gala will also take place on November 8, exactly 50 years after the novel Christy debuted on the New York Times Best Seller List for Fiction in 1967. The dinner event will be hosted by Best-Selling Christian Authors Karen Kingsbury, Andrew Peterson, and Chris Fabry and announce the winners of the 2017 Christy Awards in nine categories: General, Contemporary Romance, Historical Romance, Historical, Mystery/Suspense/Thriller, Visionary, First Novel, Young Adult and Short Form. 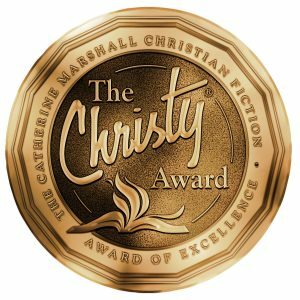 The Gala will also celebrate the 50th anniversary and re-release by Gilead Publishers of the groundbreaking novel Christy by Catherine Marshall and the awards’ namesake. Set in 1912, the novel shares the story of a young woman who leaves home to teach school in an impoverished community in the Smokey Mountains. Selling over 10 million copies, Christy opened doors for the genre, showcasing a need in the fiction market for stories of faith. The Christy Award™ was established in 1999 to acknowledge the value and impact of faith-inspired storytelling in contemporary culture. Since the demand for great stories of faith have been exceptionally on the rise over the past few years, both the quality and quantity of offerings released in 2017 have exceeded expectations. As film producers in Hollywood continue to actively pursue good stories with strong faith undertones, Christian Fiction projects will only continue to grow in exposure. On Wednesday, November 8, The Art of Writing Conference will be held from 1-5pm. The Christy Awards Gala will be held at 7:00 pm at Lipscomb University, located at 1 University Park Drive, Nashville, TN 37204. Both events are offered at a special bundle price of $99. For more information and tickets, please see http://www.christyawards.com.